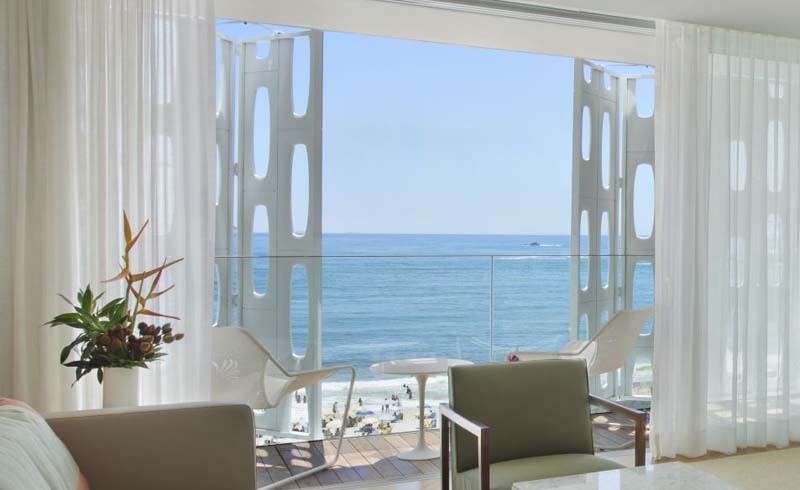 With a prime location on Copacabana Beach, Emiliano Rio is truly a stunner in its own way. This posh hotel offers grandiose accommodations thanks to its five-star service and amenities. How can you not fall in love with every bit of luxury that this hotel provides? Each room is perfected with the most exquisite details of contemporary design and rare styles to make guests feel cozy and special. At the heart of Brazil’s highly coveted hotel is its best room yet- the Ocean Spa Suite. Located on the same top floor as the SPA Santenele, this dreamy room serves as an extension of the spa. The best deal here is the privileged view of the stunning Copacabana beach. Imagine indulging in the bathtub while gazing at the gorgeous view of the calm blue waters and the clear sky- aaah you might think if this setting is unreal but yes, it is real and a great catch. Priced at $1,860 per night, the Ocean Spa Suite has a deluxe king-sized bedroom, a comfy living room, and a private massage room. 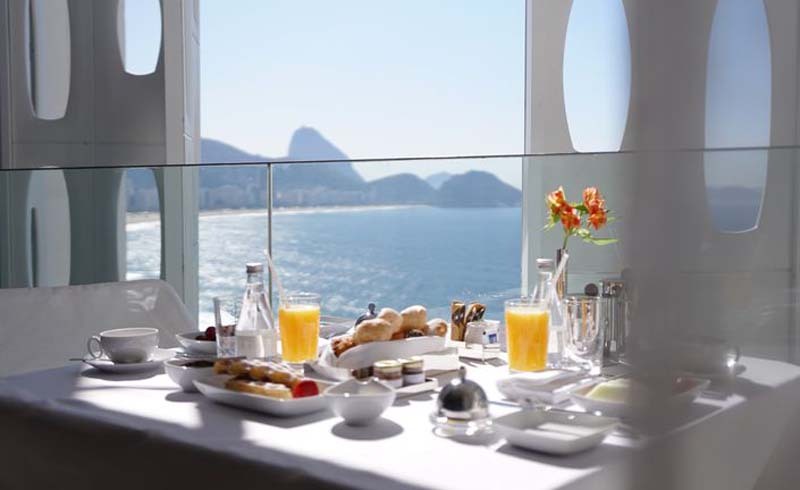 The room is styled in 1950’s, the most glamorous decade of Rio so breakfast on the balcony is as exciting as it gets. If you want fine dining, the Emile restaurant offers sumptuous cuisine and organic products that calls for a feast. Give in to the crazy and savor the refined taste of Rio. If you’re looking for a sophisticated hotel in Rio, leave everything to Emiliano Rio in giving you world-class luxury through its excellent service and of course, the highest level of comfort every smart traveler longs for. Any time is the best time to stay in Emiliano Rio, especially on New Year as you get to witness the majestic fireworks of Copacabana Beach just as Natalie Portman did.